Manny Pacquiao made upwards of $10 million when he faced off against Adrien Broner. Less than 24 hours after that unanimous decision win in Las Vegas — Burglars were hard at work to make sure he wouldn’t be enjoying it long after a routine patrol discovered that Pacquiao’s home in the Hancock Park neighborhood of Los Angeles had been entered through force, according to TMZ. As of right now, investigators have little to nothing to go on as to who might be responsible. 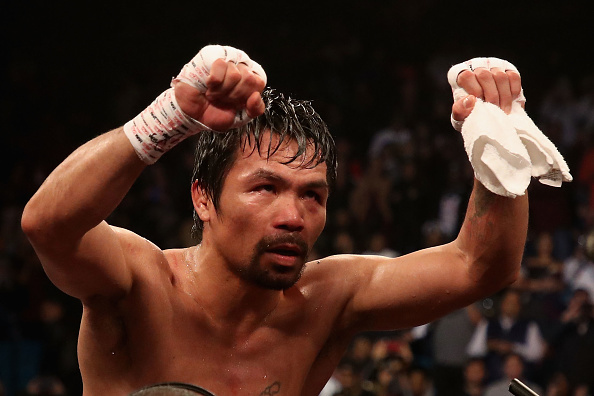 Pacquiao is not expected to return to the residence until the investigation is complete. After successfully defending his WBA welterweight title against Adrien Broner — he moved his career record 61-7-2.